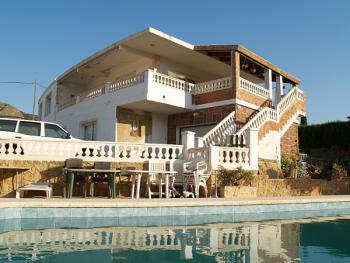 Spacious and modern 3 bedroom villa with fantastic views of the sea. This beautiful villa has a private garage with parking, a large terrace and a solarium. Of course it has its own swimming pool and furthermore this villa is equipped with every luxury. The furniture is included in the price!